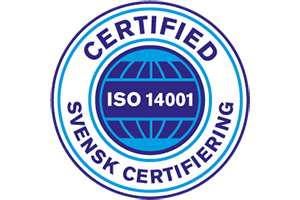 Avidicare now meets the revised and more comprehensive requirements of the most recent versions of the ISO quality and environment standards (ISO 9001:2015 and ISO 14001:2015). Our customers cannot compromise on quality since our products are about saving lives and reducing suffering. This is why 9001 matters. And just like us, they want to keep our planet healthy, which explains why it is important to live up to 14001. Together, we can make the world better. And we are glad that our efforts are sincere enought to earn the new certifications. Learn more here. Antibiotic resistance is now seen as the main threat along with climate change by Swedes. This was the result of the 2017 SOM Institute national survey that monitors public sentiment on key issues. The increased concern was substantial compared to previous years and by far the largest change (+60%). Avidicare believes that this trend will increase the need for the health care sector to be vigilant in its measure for infection control as well as keeping the prescription rate of antibiotics very low. It will also be interesting to see how this trend manifests itself in other countries where the actual infection rates from multiresistant bacteria already - and almost without exception - are way higher. Thank you to FKT (Fachvereinigung Krankenhaustechnik) and Rhein Energie AG for the invitation to their internal educational day in Cologne today! It will be a pleasure for Avidicare to present the Opragon system to all delegates.